Who has the biggest nose? Who has the biggest nose? Calvin B. 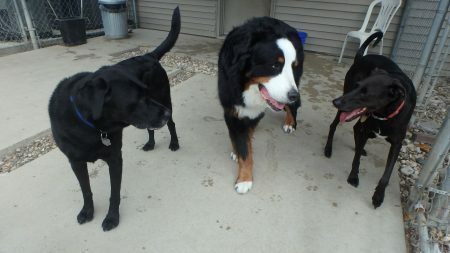 (black lab), Porter R. (Bernese Mountain Dog), and Duke Sho. (lab/saluki mix) all think theirs is the biggest. All the better to sniff you with? ?